We are a strong team who strive to be the best. We each have our individual roles within the offices which enables us to be effective and in our opinion the best local agent! Tracy has been part of Wilman & Lodge for 20 years and bought the business several years ago with her husband Joe. They have since seen the business grow from strength to strength. Jayne has many years expertise in the property market and is your first contact when looking to place your property on the market. Charlotte is there to assist with the smooth marketing and sale of your property. Pat is on hand to carry out viewings within the Dales Area as well as assisting with purchasing and sales of properties. Caroline is there to assist with the smooth marketing and sale of your property. Joanne is there to assist with the smooth marketing and sale of your property. Karen deals with our rental properties and is on hand to help with any queries from our landlords and tenants. Part of the Property Services/Management Team, Emma deals with our rental properties and are is on hand to help with any queries from our landlords and tenants. 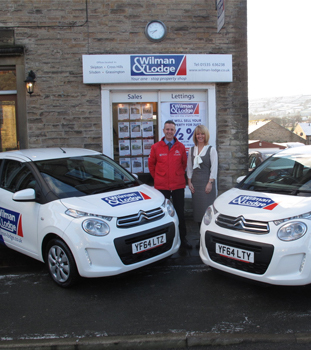 Anne deals with all accounts and finance related matters for Wilman & Lodge. Joe runs the successful property services side of the business. Chris works alongside Joe to provide first class workmanship in our clients homes when renovating and refurbishing properties. Sonia is there to assist with the smooth marketing and sale of your property. Rachel is there to assist with the smooth marketing and sale of your property.